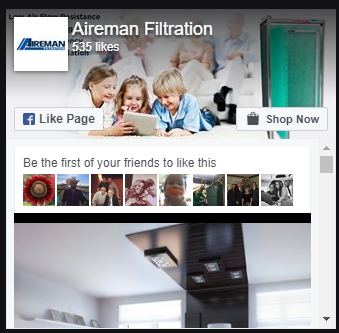 Aireman Filtration, LLC values your privacy and is committed to protecting your personal information. 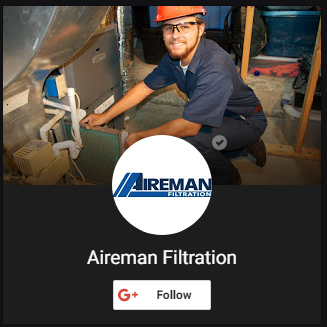 Aireman is a limited liability company that sells and delivers electronic air filters and supplies replacement media to its members and non-members on a schedule (“Services”). This Policy applies to our website (the “Site”). 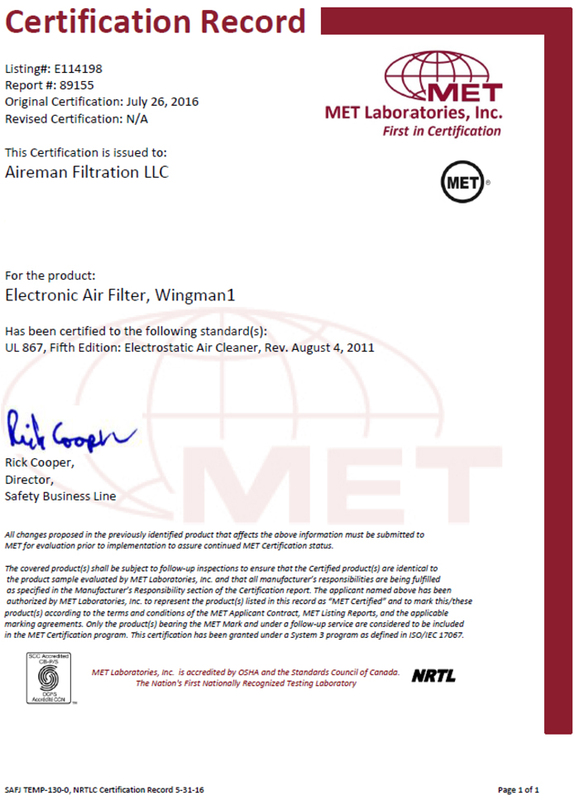 This includes www.aireman.com and any other site displaying this Policy that allows consumers to purchase our product or service for the delivery of products offered or made available through the Site (“Membership(s)”). Membership is defined as a customer who is provided/sold a base filter unit, commits or does not commit to a term auto-ship and/or agrees or declines the auto-ship feature of our service. By using our Site and/or purchasing a Membership you consent to the collection, transfer, manipulation, storage, disclosure and other uses of your information as described in this Policy. Accordingly, please be sure to read this Policy before using the Services or submitting information to us. We will assume you read, understood, and agreed to these terms. The information we collect from you enables us to fulfill your requests for our products (such as filters and replacement media that you order and receive through your Membership); send you information or content we believe may be of interest to you; and keep you abreast of any updates related to our Site and your Membership. We also use this information to personalize and continually improve our Site, your experience, and ultimately serve you better. Information Collected Upon Registration: You may browse our Site without registering. However, if you would like become a member, you must complete the account registration process and become a member on our Sites. Whenever you create, register, or edit your Aireman account, or order a product without creating an account, you provide some basic personal information, such as your name, email address, and password. In order to purchase our products, you must provide us with your credit card, debit card, or other type of acceptable payment information along with your billing and shipping address information. While you are free to choose not to provide this information, without it, we cannot provide you with any of our products and Services, or complete your Membership. Please safeguard your password and all personal information to avoid the risk of your private information being used by others without your consent, and any potential liability for the unauthorized use of our Sites or your account. Information We Collect Automatically: When you visit the Sites and/or register for Membership, we may also collect certain additional information by automated means, such as cookies, web beacons, and other automated devices. A “cookie” is a text file that websites send to a visitor’s computer or other Internet-connected device to uniquely identify the visitor’s browser or to store information or settings in the browser. A “web beacon” (also known as an Internet tag, pixel tag or clear GIF) is used to transmit information back to a web server. We and/or our third party service partners may employ automated Canvas fingerprinting and other browser-fingerprinting techniques that extract and analyze information about your browser, operating system, and installed graphics hardware in conjunction with other user information (e.g. time-zone, language preference, etc.) to help verify your unique identity for fraud prevention purposes and to improve our Site and Services. By using our Site and Services, you consent to the use of these browser-fingerprinting technologies. See below for more information on Canvas fingerprinting and ways to detect or block it. We may also use third-party website analytics tools (such as Omniture, Google Analytics, and Facebook Insights) that collect information about visitor traffic on the Sites that help us continue to improve the Site, performance and user experiences. Search terms that visitors use to reach our Sites and the webpage that led you to the Sites. Log File Information or Log Data: Our servers automatically record information ("Log Data") created by your use of the Site or our Services. Log Data may include information such as your IP address, browser type, operating system, the referring web page, pages visited, location, your mobile carrier, device and application IDs, search terms, and cookie information. We receive Log Data when you interact with our Services, for example, when you visit our websites, sign into our Services, interact with our email notifications, or visit a third-party website that includes an Aireman button or widget. Aireman uses Log Data to provide our Services and to measure, customize, and improve them. Clear Gifs Information: When you use the Service, we may employ clear gifs (a.k.a. Web Beacons), which are used to track the online usage patterns of our users anonymously. No personally identifiable information from your Aireman account is collected using these clear gifs. In addition, we may also use clear gifs in HTML-based emails sent to our users to track which emails are opened by recipients. The information is used to enable more accurate reporting, improve the effectiveness of our marketing, and make Aireman better for our users. Links: Aireman may keep track of how you interact with links across our Services, including our email notifications, third-party services, and client applications, by redirecting clicks or through other means. We do this to help improve our Services, to provide more relevant advertising, and to be able to share aggregate click statistics such as how many times a particular link was clicked on. In addition, some of these companies are members of the Network Advertising Initiative ("NAI"), which offers a single location to opt out of receiving tailored ads from member companies. To opt out of information collection by NAI member companies, or to obtain information about the technologies they use or their own privacy policies, please visit the NAI consumer opt out page. Also, through the Digital Advertising Alliance ("DAA"), several media and marketing associations have developed an industry self-regulatory program to give consumers a better understanding of and greater control over ads that are customized based on their online behavior across different websites. To learn more and make choices about interest-based ads from participating third parties, please visit the DAA consumer opt out page. In the UK, the Internet Advertising Bureau ("IAB UK") has developed Good Practice Principles for Online Behavioral Targeting. More information and an opt-out page to manage online behavioral advertising preferences with IAB UK member companies are available at YourOnlineChoices.com. Please note that if you choose to opt out of having your information used to deliver advertisements tailored to your interests, you will continue to see advertisements on our Sites, but these advertisements may not be as relevant to you. Aireman does not have access to the information these third parties may collect about your interests to deliver relevant advertising to you, and this Policy does not cover the information practices of such third parties. Aireman does work with third parties to help us track the ads that are delivered to you, in particular to control the number of times you receive the same ad, and to analyze the effectiveness of advertising on the Sites. Service Providers: We engage service providers to perform functions and provide services to us in the United States. We may share your private personal information with such service providers subject to confidentiality obligations consistent with this Policy, and on the condition that the third parties use your private personal data only on our behalf and pursuant to our instructions. Law and Harm: Notwithstanding anything to the contrary in this Policy, we may preserve or disclose your information if we believe that it is reasonably necessary to comply with a law, regulation or legal request; to protect the safety of any person; to address fraud, security or technical issues; or to protect Aireman's rights or property. However, nothing in this Policy is intended to limit any legal defenses or objections that you may have to a third party’s, including a government’s, request to disclose your information. Business Transfers: In the event that Aireman is involved in a bankruptcy, merger, acquisition, reorganization or sale of assets, your information may be sold or transferred as part of that transaction. The promises in this Policy will apply to your information as transferred to the new entity. We are committed to protecting the information we receive from you. We employ reasonable technical and management practices to help protect the confidentiality, security and integrity of data stored on our system. While no computer system is completely secure, we believe the measures we have implemented reduce the likelihood of security problems to a level appropriate to the type of data involved. We have implemented commercially reasonable precautions, including, where appropriate, password protection, encryption, SSL, firewalls, and internal restrictions on who may access data to protect our Site and the information we collect from loss, misuse, unauthorized access, disclosure, alteration, and destruction. The Sites encrypt your credit card number, debit card number, or other payment and personal information using secure socket layer (SSL) technology to provide for the secure transmission of the information from your personal computer to our servers. In addition, only those employees and third parties who absolutely need access to your information in order to perform their duties are allowed such access. You should take steps to protect against unauthorized access to your password, phone, and computer by, among other things, signing off after using a shared computer, choosing a password that nobody else knows or can easily guess, and keeping your password private. Also, you should never share your login information with others. We are not responsible for any lost, stolen, or compromised passwords or for any activity on your account via unauthorized password activity. You may modify any personal information that you have submitted by logging into your account and updating your profile information. Please note that copies of information that you have updated, modified or deleted may remain viewable in cached and archived pages of the Site for a period of time. Our Services are not directed to persons under 13. If you become aware that your child has provided us with personal information without your consent, please contact us. We do not knowingly collect personal information from children under 13. If we become aware that a child under 13 has provided us with personal information, we take steps to remove such information and terminate the child's account. You can find additional resources for parents and teens at www.connectsafely.org. California Civil Code Section 1798.83 permits California residents to request from companies conducting business in California a list of third parties to which the company has disclosed personally identifiable information during the preceding year for direct marketing purposes. Consistent with that section, California residents may request a list of third parties to which we have disclosed personally identifiable information about you for direct marketing purposes. You may make one request per calendar year. In your request, please attest to the fact that you are a California resident and provide a current California address for your response. Request a copy of this information in writing. We may revise this Policy from time to time. The most current version will govern our use of your information and will always be available for your review at www.aireman.com. If we make any change to this Policy that we in our sole discretion deem material, we will notify you via email to the email address associated with your account. By continuing to access or use the Services after those changes become effective, you agree to be bound by the revised Policy. This Policy shall be interpreted under the laws of the Commonwealth of Pennsylvania. Any lawsuits, disputes, claims, inquiries, charges, complaints or otherwise shall be adjudicated in the Luzerne County Court of Common Pleas in Wilkes-Barre, Pennsylvania.